Chris O’Connell has been Matt Kuchar’s teacher since 2006. Given Kuchar’s lofty status on the PGA Tour which includes two wins already this season, that in itself is a testimony to his teaching excellence. But in Dallas, TX, where he resides, he’s known as an instructor who can elevate anyone’s game including the recreational, weekend player. A Top 100 Teacher in America by GOLF magazine, O’Connell is co-founder and Director of Golf at the Plane Truth Golf Institute at The Courses at Watters Creek. 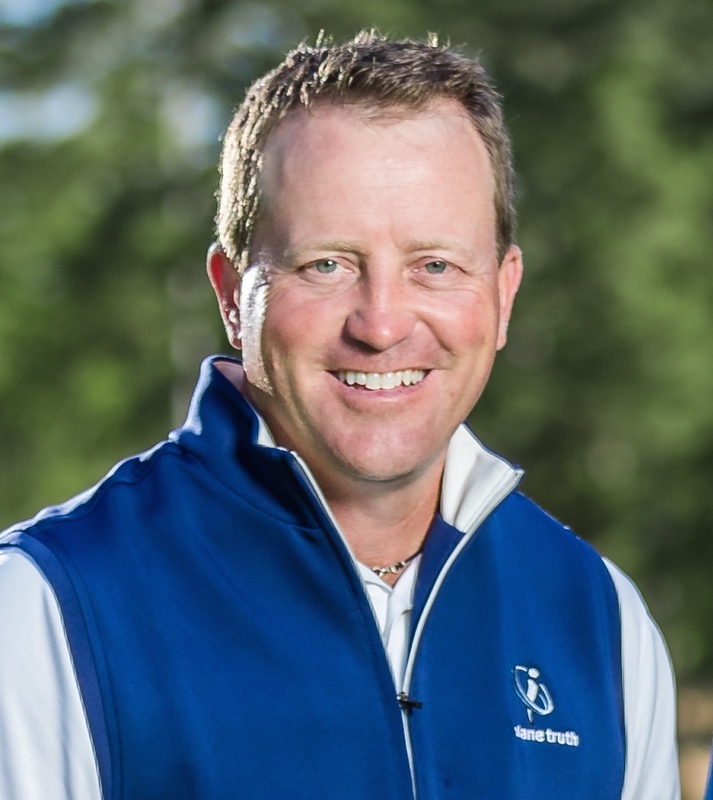 He’s been mentored by Jim Hardy, the acclaimed teacher and recipient of 2007 PGA Teacher of the Year Award. O’Connell will be headliner of the 2019 West Michigan Golf Show in Grand Rapids on Feb. 8-10. Recently, he spoke with Terry Moore. Here are excerpts of their conversation. I really can’t remember when I started. My family were golfers so it was part of my life early on. My dad was an All-American player at Notre Dame and became one of the best amateurs around Quincy, IL where I grew up. And my mother played as well. My older brother was an excellent player and one of the best in Illinois. I remember playing in the Pepsi Little People’s golf tournament—one of the best junior events in the country— when I was only four years old. Golf always seemed a part of my life. How did you meet Jim Hardy, the celebrated teacher and your mentor? 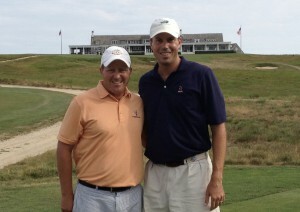 I met Jim in 1998 when I began caddying for Peter Jacobsen on the PGA Tour. I was still playing at that time and trying to become a Tour player. But Peter came to Dallas for the Bryon Nelson Classic and through mutual friends, I began caddying for him. In fact, I caddied for him for three years. Peter was in the mid-40s period of his career which is a tough time to compete with the younger set. But he remained competitive and in the process I got to know and admire Hardy and his teaching methods. What do you consider Hardy’s major contributions to golf instruction? Well, I’m biased but to me he’s had more original ideas about teaching than anyone. One of his tenets is that there’s not one set of fundamentals but two. People can swing upright or they can swing around their bodies. The swing is a collection of angles, some steep and some shallow, and one has to learn to net them out to neutral at impact. Think about Jim Furyk. He has an upright swing and creates a steep angle but at impact it’s perfect. Hardy also talks about the “pluses and minuses” of students swings. They can be too sweepy or too steep in their angle of attack. The teacher must work with the students to see how they impact ball flight. How and when did you meet Matt Kuchar and become his teacher? In was 2006 when Matt was competing on the Nationwide Tour and I was working with Matt Weibring, DA’s son, at the time. Kuchar liked how Matt was hitting it and Matt suggested Kuchar contact me. So he came to Dallas to see me. At that time, Matt was a good driver of the ball but not a good iron player. He was too sweepy. He wanted to fade the ball and people wanted him to be more upright in his backswing. I didn’t want to touch his backswing. It was fine. Instead, I wanted him to swing more around his body after impact. To swing more down and through his body and keep going left. I wanted him to be flat on both sides of the ball. There’s nothing wrong with a flat backswing, as Ben Hogan and Lee Trevino proved, so long as you remain flat on the follow through. It has to be a mirror image. How would you describe your relationship with Matt? We’re very close. Our families are close. Our kids are friends. Sometimes, teaching can be strictly a business relationship and there’s not much contact outside the range. That’s not the case with Matt and me. Besides, if you can’t have fun and be friends with a guy like Matt, you have big problems. What did you make of Matt’s winning performance at the Sony? What was he doing well? Waialae is a course that sets up well for Matt, rewarding accuracy off the tee. Do that and you have a number of short irons where you can attack. From the rough you lose control of your golf ball and pars become challenging. I like Matt’s chances when it becomes a short iron contest. Did you and Matt work on anything in particular in the last year to get him back in the winner’s circle? I feel the most important area of the golf swing is the downswing which is the area that actually presents the club to the ball. The majority of our work is always in this club delivery area and we have continued to improve, thereby directly affecting the flight of his ball and its repetitiveness. What are key aspects of Matt’s dependable fade? Most people think a fade is weak because they believe a fade is an open club face. A correct, powerful fade is actually a closed club face relative to the target with the club path further left than the face. If people can hit fades by getting the path left of the face rather than the face right of the path they can hit fades that are released and powerful. When students come to you and say they want to get over the hump and start breaking 80 or 90 consistently, what are your thoughts? Contrary to popular opinion, I believe the full swing is more important than the short game. And Mark Brodie in his book, Every Shot Counts, proved it. His data showed that two-thirds of the strokes gained were from shots outside of 100 yards and only one-third from inside 100 yards. In other words, how you get off the tee and get on the green is far more important for your score. So to lower your handicap, you have to be a better hitter. And you have to learn how to avoid the big number. That means having a better and more dependable swing. Talk about the Plane Truth Institute which you co-founded with Hardy? It all starts with ball flight. When Hardy began teaching he actually went and studied the best teachers in the game. He came away quite confused with their methods. He then took a speed reading course in order to devour all the well-known instructional books. Again, he was confused. But then he came upon John Jacobs, a prominent teacher in England. Jacobs emphasized the key information taken from ball flight. To him, it was the ultimate judge if a student is hitting the ball well or not. You can change your swing but not fix your ball flight. Jacobs wanted to work backwards from the player’s ball flight to find the best swing. Jacobs was the greatest two plane teacher of all time. Jacobs was Hardy’s mentor and Hardy became mine.